Notre Dame du Haute is an icon of Modernism, easily recognized by all students of architecture. Its battered stucco walls and swooping brutalist concrete roof are characteristic of LeCorbusier’s post-war work and a contradiction to the cool rationality of his interwar practice. 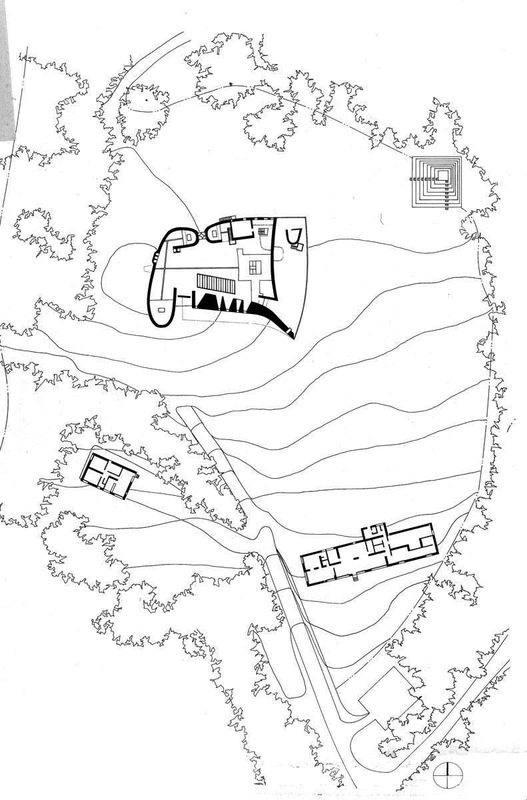 Our department once interviewed a prospective faculty member who shared with us her recent architectural travel, which included a breezy glimpse of Ronchamp with her companions which had reduced the experience to ticking a box during a scavenger hunt. Wham! Bam! And on to lunch. I was reminded of my own encounter many years earlier and wondered if she and I had been to the same place. The most obvious difference between our two encounters was access: she and her cohorts had arrived by rental car, while my colleague Joe and I were captive of public transport — at the time there was a single-car train into the village at about 7:00 a.m. and one onward train at 7:00 p.m. We were trapped in a hamlet in rural France for twelve hours. Leaving the unstaffed depot we found a sign directing us to La Chapelle, through a triumphal arch worthy of Septimus Severus carved into the viaduct our train had just crossed. It was the equivalent to an architectural fanfare. What followed was a three-hour initial encounter which required all my senses, not just sight. In architectural history, the concept of enfilade is important—a French word used to mean spatial sequence or progression; the psychological effect of entering a new and unfamiliar space from a previous one and carrying with you its memory. I suppose mine had actually started at birth, but technically it began at that arched definition of “entry”; marking the boundary between village and countryside. I’ll leave aside the sounds of crowing roosters and diesel tractor engines, rustling leaves. Entering one of the ugliest parking lots and homeliest visitor centers of my experience, Joe and I found a comfortable patch of shade and spoke of nothing in particular, waiting for the gates to open. What followed was a multi-sensory experience which engaged everything except my taste buds. I smelled beeswax. Thanks to an unannounced bend in the floor, gravity pulled me to the communion rail, which turned out to be painted steel, rather than wood, and cool to the touch of a sweaty forearm. I understood the chancel floor sloped in the opposite direction and distorted perception of its distance from the pews. The pilgrim’s path to communion was thereby made to seem intimate; reciprocally, the return to my seat became both difficult and distant thanks to the reverse visual effect. Meanwhile, with just the two of us present, the acoustic qualities of all those hard, unforgiving materials amplified every sound I made and in doing so made me be quiet; I was even aware of my own breathing. After a while, other tourists began to arrive and complicate our observations, so we retired to the village for a two-hour lunch, and a return to the chapel in completely different lighting. Then down the hill again to write postcards and find the post office. then a final hike to the top for one last experience in the late afternoon just before our train. Though this happened more than thirty years ago, it is still vivid, an indelible memory I’ve shared with students and friends. It probably also goes without saying that LeCorbusier moved up several notches in my esteem. But the fringe benefit—one of several—was an appreciation for all my senses and a confirmation of Cecil Elliott’s observation: Architecture is far more than what we see. Mental maps, the cartography of the imagination, have played a subtle but essential role in the evolution of Agincourt. The first article Howard Tabor wrote for the year-long series of his Saturday columns leading up to the Sesquicentennial was a conscious look at the city he, like most of us, had taken for granted. Tabor challenged himself to walk to work—by whatever path presented itself; not necessarily the shortest route—and see something new or see something familiar but in a new way. The object he settled upon was the obelisk on the east side of the courthouse square (which isn’t square, by the way). Until that moment, I (as the person channeling him) didn’t have the foggiest idea there was an obelisk there or anywhere else in the city. But once he saw it, I had to explain its presence, even if Howard could not. So, in the space of probably less that an hour, I conjured a backstory that I believed was a plausible explanation for it. Each time I imagine a place in Agincourt or its hinterlands, something similar happens: not only must I “see” that place, but I must also connect the dots and understand the path that had brought me there—in architecture, we call it enfilade or spatial progression. So, what began as a series of points, disconnected, floating in Jeffersonian space, became linked, and with those connections the terra incognita that had surrounded them itself became shrinking pools of as-yet-unimagined space. My mental map of Agincourt will never be complete; there will always be gaps, which is what makes this compelling for me. Now and then, I find others willing to suspend belief for just a little while and play. My observations earlier about architecture—buildings, groups of buildings, and the space that surrounds them—plays a significant part in this creative process. Because our the memory maps we create are often shaped by senses other than sight. Recall Sherlock Holmes, Robert Downey’s 2009 film, where in he is abducted and taken by a circuitous route to a group of men intent on buying his service. 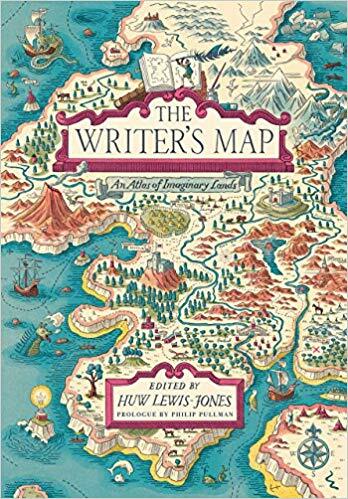 At the unknown destination, Holmes relives the journey that brought him there, and uses characteristic London sounds, smells, the physical bumps from potholes in the pavement, and divines not only where he is but who is peaking with him. 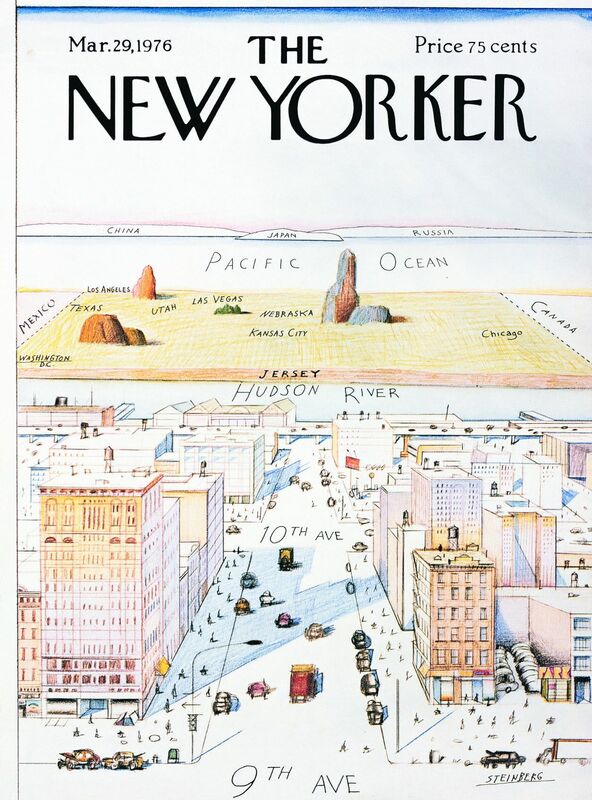 All because his habitual observation has become a richly textured and nuances mental map of the place he calls home. So, let me challenge you to revisit your childhood. Make a mental map of your path from home to school: what did you hear, small, feel, and perhaps even taste along the way. Each experience becomes an event on that path, punctuation in both space and time, part of our personal sense of enfilade. And collectively they are the beginning of a mental map of childhood. If I did’t believe this was a meaningful aspect of our development as humans, I wouldn’t have brought it up. Eyre’s works show considerable skill in the handling of both oil and watercolour, two very different mediums, and his landscapes have even been likened to Whistler. 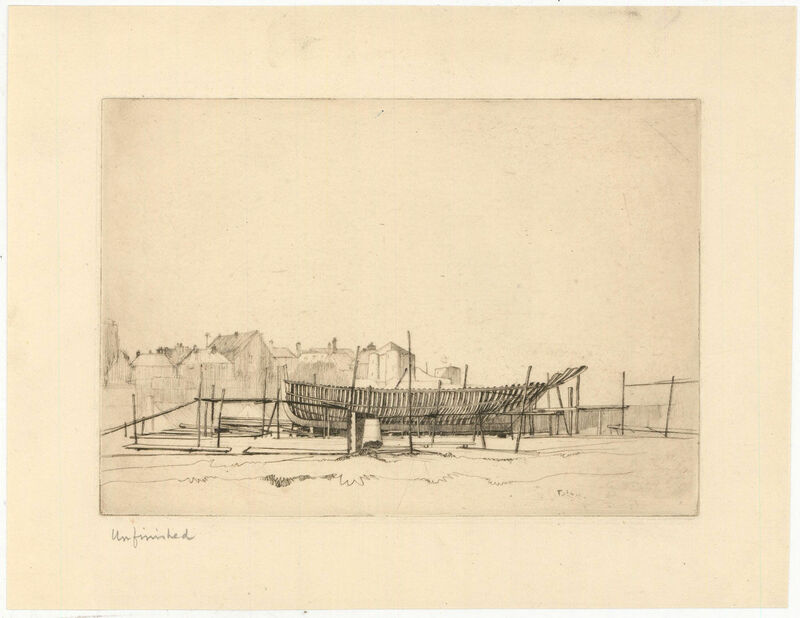 His confidence, sense of drama and simplicity of technique has also drawn comparisons with Cotman and there is a clear link to be made with the work of Edward Seago, seen in the soft play of light across Eyre’s coastal landscapes. 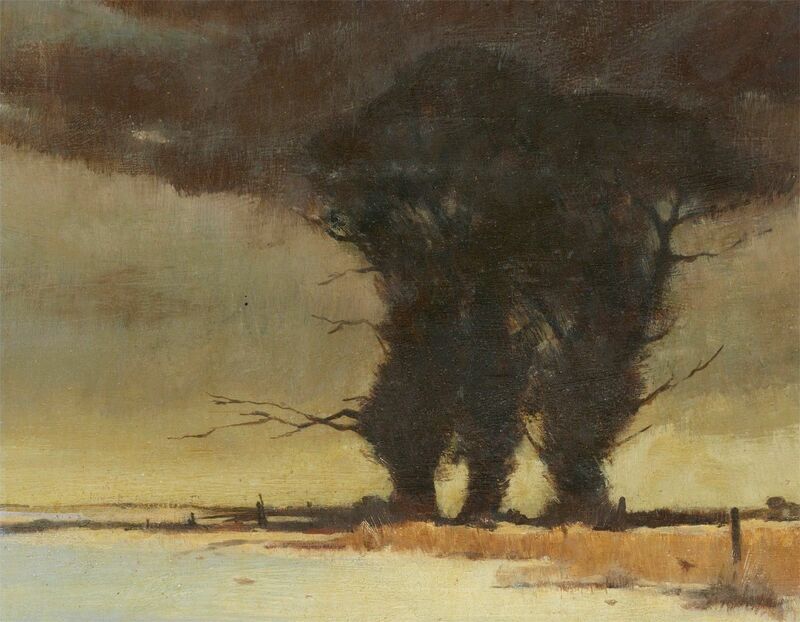 This dark brooding winter landscape renders the trees as cyclonic shapes rooted in the fields, losing their crests in low-lying clouds. “Countryside” came to the collection anonymously via a Chicago art dealer. Known throughout his career as F. L. Wilder, he lived into his hundredth year and is better known as an authority on print collecting at Sotheby’s, where he worked from 1911 until 1976. In 1969 he published How to Identify Old Prints, and in 1974 a coffee-table book called English Sporting Prints. Then at age 83, he became an art dealer under his own name. 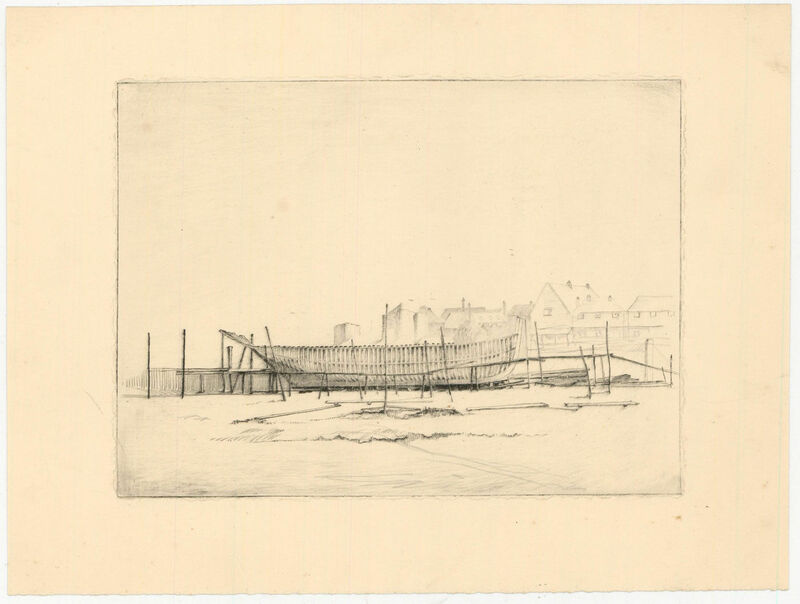 These two studies of boat-building date from about 1941. These increase the collection’s number of boat-buiilding images to four. Ahab may require more mental gymnastics than many other parts of the Agincourt story. I wonder if these threads can make a tapestry? Living (and dying) in the late 3rd century Mediterranean, Ahab was a fisherman-turned-pirate in its Adriatic arm, heavily traveled with cargo from the eastern Empire. He might be described as “an accidental Christian”, martyred in the Christian cause but not actually being a believer himself. So, despite his relics having been brought to Azincourt, France by returning Crusaders, the saint has a place in both the Eastern and Western kalendars. The icon format seems entirely appropriate. Sister parishes (Azincourt and Agincourt; yes, the French spell it differently) dedicated to this obscure Liburnian saint each look to Croatia, site of his martyrdom, burial, and first miracles. Perhaps it was his piracy against Rome that had made Ahab so attractive to Constantinople: the enemy of my enemy is my friend. And then the East-West saint—martyred in one; interred in the other—found his way to northwestern Iowa. Plausible. Christ the King parish in Agincourt had initially been dedicated to Ahab, the only church in this hemisphere bearing his name. And 2018 is its 150th anniversary, an opportunity to celebrate, perhaps the exchange of gifts. The icon under discussion is coming here; I wonder what is going the other direction. 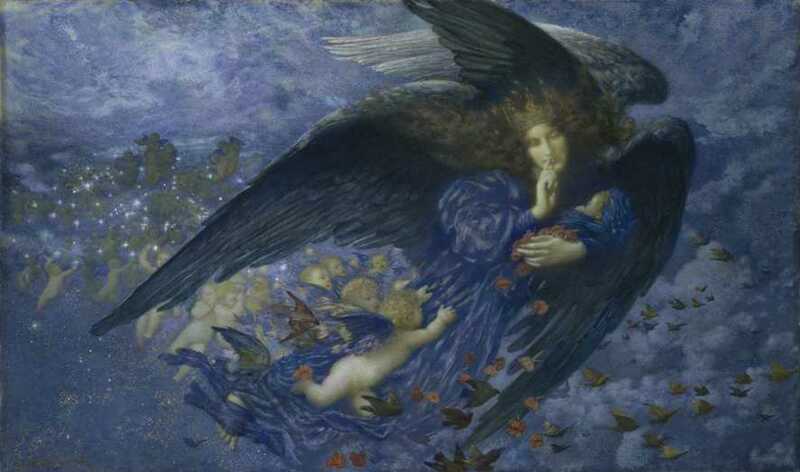 Despite “The French Connection”, an English artist would be far better equipped to incorporate Pre-Raphaelite imagery. But the English Channel is as potent a cultural barrier as the rift that divides Rome from the Orthodox East. Ah, but my research on the British presence in Dakota Territory gives me a likely scenario: Did you know the Channel Islands, where the Union Jack flies within sight of France, were populated with large numbers of Huguenots, French Protestants who came when it was unsafe to practice their faith on French soil? One of those exotic characters showed up in the Red River Valley in the 1890s, a grain dealer named Gautier de Ste Croix, who had offices in Ada, Grand Forks, and Duluth, and actually proposed a canal from the Red eastward to Lake Superior and a more direct route for Dakota grain to lucrative European markets. Screw Pillsbury and Peavey! Do I know enough about the de Ste Croix family to suspect an artist was among them? It’s only slightly more problematic to imagine him/her with a passion for the Pre-Raphaelites. So…a Huguenot artist paints an Orthodox religious icon for a Roman Catholic parish in the style of Holman Hunt. Makes perfect sense to me. The beautiful thing about stew is that everything maintains its identity but works as one. There is an old Russian joke — perhaps even predating the 1917 Revolution — regarding history and its relationship with us: “The most difficult task for a Communist historian is to predict the past.” Facts drawn from the past can be marshaled to conform with the present; indeed, to appear that they have shaped it. Inconvenient bits of information are easily “misplaced” or countered with “alternative facts” to suit the prevailing point of view. The shape, the shaping, and the shaper. ”History” has become histories in our current deconstructed academic world as departments of history sprout free-standing programs for Black, Feminist, LGBTQ, and other cultural subgroups craving a place at the table of what has been the White Male European historical banquet, from which others had been consigned to the kiddie’s corner in another room. If that seems harsh or value laden, it wasn’t intended. But I can marshall several facts to support it. That’s what we do at Agincourt: predict the past. In the Pre-Raphaelite aesthetic, May Morris (Mrs William Morris) became the icon for feminine beauty. 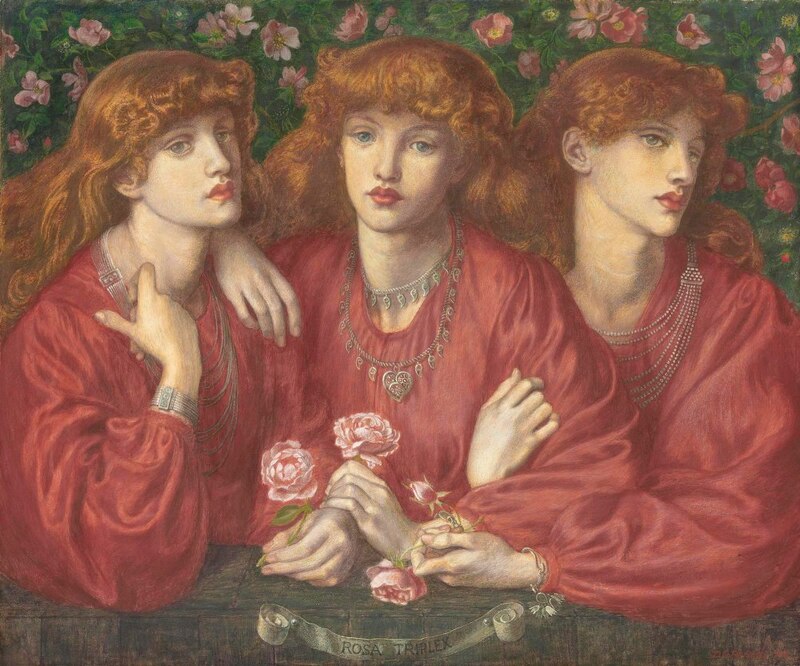 This portrait by Dante Gabriel Rossetti shows May as triplets, in wistful reverie with herselves. Photography arrived on the scene almost simultaneous with the Pre-Raphaelites. What began as a straightforward search for an Orthodox religious icon — representing Ahab’s situation on the interface between Eastern and Western Christianity; like many such lines — a militarized confrontation between contending ideologies — it has morphed into something unexpected: a hybrid representation of Saint Ahab, not straddling the breech between Rome and Constantinople, but sharing some of the imagery drawn from both Orthodox hagiography and the Pre-Raphaelite Brotherhood. Religious icons seem more alike than different from an outsiders point of view, but that illusion of sameness comes from more than mere tradition. Their production must follow strict guidelines, adhering to an accepted canon of symbols and composition and rigorous technical processes. Tradition dictates that it be painted on olive wood which has been primed and sanded multiple times to the smoothest possible surface. It is painted with egg tempera, an ancient organic medium (using egg white) so durable that its colors are still vivid on Egyptian mummy cases more than 2,000 years old. The biggest surprise concerns the requisite gold leaf, the lustrous surface that surrounds each face: I was shocked to learn that its application occurs before any paint is applied. That’s right; the entire gessoed surface is covered with thin layers of gold and then almost completely covered with paint. Symbols often come from the church’s official biography—hagiography—and in Ahab’s case it would draw from his status as a “red saint” martyred for his faith (rather than “white” who have led blameless lives). It might include elements which reference his work (a sailor turned pirate) and/or the means of his martyrdom (in Ahab’s case, being crucified on the mast of his own ship). Of course, attainment of sainthood also requires miracles—most often inexplicable medical cures; that, too, might be incorporated in the composition. 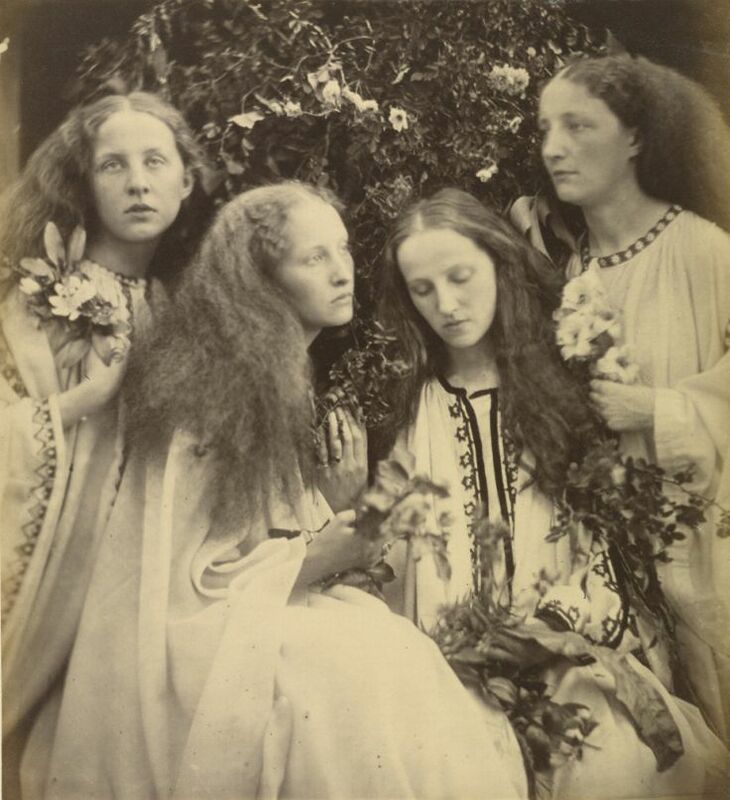 The Pre-Raphaelites’ philosophy was similarly driven by notions of moral rectitude; of living the very sort of “good” life encouraged by the cult of the saints. Artists like Dante Gabriel Rossetti and William Holman Hunt [don’t you love those evocative names?] supported the notion of a moral art that was “not only beautiful”; they believed that art cannot please the eye until it has first addressed the soul. So what had initially seemed an odd amalgam—an Eastern art form fused to (filtered through) a Victorian art movement—now makes a sort of sense that deserves more investigation and thought. I’ll be surprised if it hasn’t been tried before. There is, of course, an actual artist at work on this component of the next Agincourt exhibit (in fewer than five weeks! ), but does it also cry out for a backstory? Of course it does and that prospect makes me smile, because I feel a story coming on. Eva Auld Watson met her husband Ernest William Watson [1884–1969] when attending one of his art classes at Pratt Institute in Brooklyn, New York. After marrying in 1911 they spent summers in the Berkshire Hills of western Massachusetts, where they co-founded the Berkshire Summer School of Art. Together they “studied, developed, and applied many of the same block printing techniques; however, Eva’s designs were often more stylized, focusing on rich color and vibrant, harmonious landscapes” rather than more figurative work by Ernest. The distinctive characteristic of their prints is the subtle gradations of color from a single block, which almost guarantees variation within an edition. 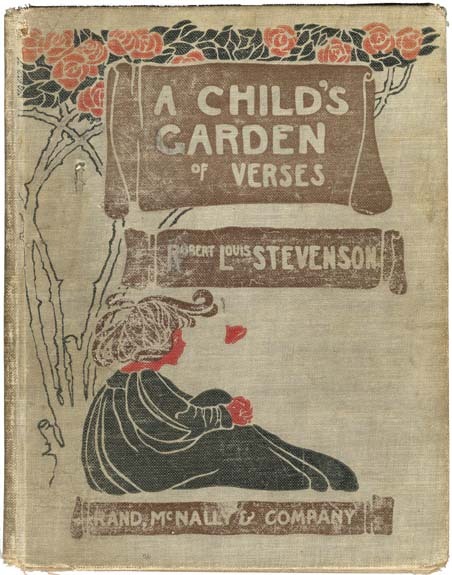 Ernest Watson also co-founded Watson-Guptill, publishers of art books. 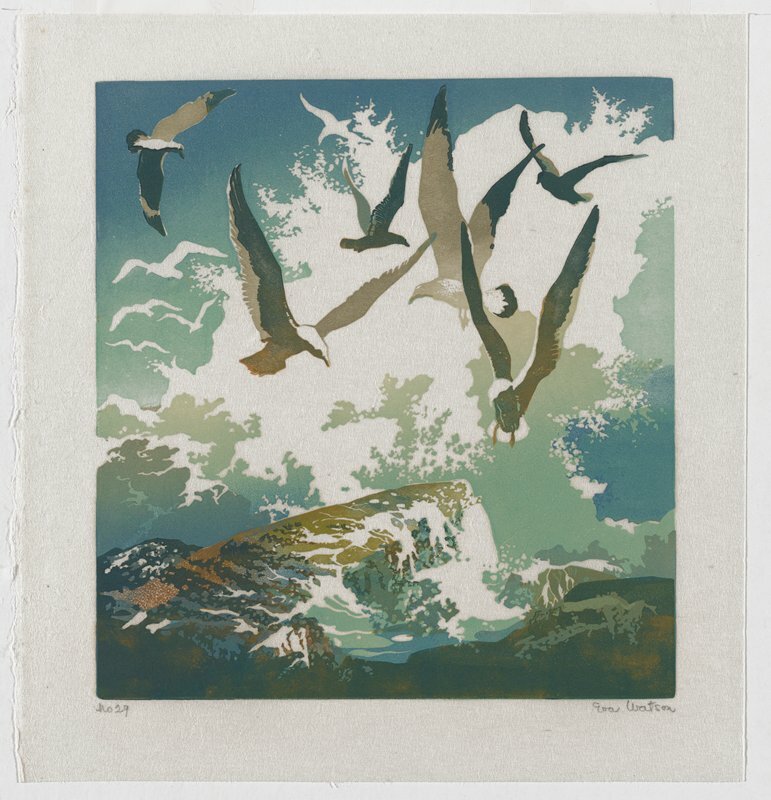 “Gulls and Spray” was issued in an edition of one hundred and fifty by the Albany Print Club for its members. It came to us from one of their descendants.